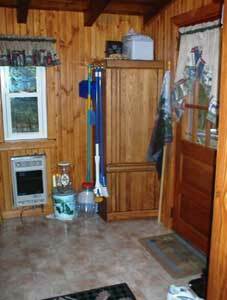 Here you will find the refrigerator, a cabinet with some kitchen and other misc items. 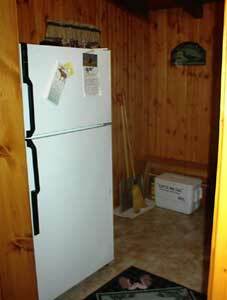 A propane heater is located in this room for cold weather use. See operation manual in the "cottage book". Great location to leave your boots and hang your coats.